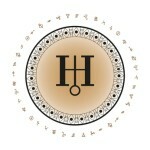 During the next several years, transiting Uranus in Taurus will revolutionize one or more areas of your life. Which ones? To find out, one needs to look to the life areas described by the house that transiting Uranus is visiting in the chart to see which one (or ones) may be targeted for radical changes during this cycle. So which life areas are targeted for change in YOUR chart? Check out your Sun sign below, and if you know your Ascendant (rising sign), read that paragraph as well. However, before you do, it’s important to understand that depending upon your personal horoscope, Uranus could be entering a new house, be midway through one or nearing the end of its visit. If it’s midway through or nearing the end of its journey, you may have already experienced some sweeping changes in your life. As Uranus transits your solar 2nd house, you may experience financial changes, including the way your earn your money (hours can increase/decrease; you may start your own business or add a side job), as well as how much risk you can tolerate in terms of investment. You may also reject certain values and reorder your priorities. “You’re not the boss of me!” As Uranus transits your solar 1st house, your attitude and approach to life is due to change as Uranus inspires an overpowering drive to break free of restrictions. If you feel partners or friends are holding you back, you’re likely to break ranks with them. As Uranus transits your solar 12th house, skeletons, as well as secret enemies, may come out of the closet. This energy can also trigger insomnia, anxiety, past life memories. Since Uranus is a planet of separation, its energy can help you expose and release fears and subconscious patterns. It can also awaken intuitive abilities and creative talents. As Uranus transits your solar 11th house, you’re likely to cut ties with casual friends, colleagues, peers or associations that don’t share your values, and/or you may discover a group of like-minded souls and feel a great sense of belonging. Since this is the house of hopes and wishes, you may change some of your goals. If you have foster children or stepchildren, they may be more disruptive or rebellious during this time. As Uranus transits your solar 10th house, you may voluntarily (or not) make a job change that may (or may not) involve a relocation. If you feel restricted by authority figures, you may decide it’s time to establish your own company. Another possibility is that your boss will leave or there will be some kind of major reorganization in your workplace. On a different note, a sudden change connected to a parent will occur during this time. As Uranus transits your solar 9th house, you’re likely to have opportunities for long distance travel and some of them may come up suddenly. Traditional forms of education may be interrupted (e.g., you take a semester off to travel). You’re also likely to encounter knowledge that will make you question many of your beliefs and it’s possible that one or more of them may undergo a radical change. As Uranus transits your solar 8th house, you could experience an inheritance or other type of windfall or you could accrue a substantial amount of debt. Since Uranus is a planet of separation and this house rules shared resources, it’s also possible that you could find yourself divvying up assets due to a business dissolution or a divorce. As Uranus transits your solar 7th house, you’re likely to experience changes in some of your one-to-one relationships. If either one of you feels restricted, or that your values are no longer on the same page, one of you may end it. Since this is a legal house, there’s always the possibility that you’ll find yourself in a lawsuit. As Uranus transits your solar 6th house, you may experience a voluntary (or not) change in your employment status. You may find it hard to keep a daily routine during this time, and pets could be disruptive or demand more of your attention. Health issues can arise suddenly, and since Taurus rules the throat, tonsillitis, strep and laryngitis may be more likely now. As Uranus transits your solar 5th house, there may be news of an unexpected pregnancy, and child may be disruptive or rebellious. There’s a strong drive to experience pleasure, and some of you may discover new hobbies, creative talents or a love for extreme sports. If you enjoy speculation, be careful because while Uranus can bring big wins, it can also bring big losses. As Uranus Uranus transits your solar 4th house, some of you decide (or be forced) to change your residence; others may have people moving in or out of it. A home change may be connected to your career at this time. For example, you’re able to work from home a few days a week or relocate for a new position. A sudden or unexpected event connected to a parent may also occur during this cycle. As Uranus transits your solar 3rd house, there may be surprising news from siblings or changes connected to neighbors or in your local area. You may also feel a strong need to make your opinions known and some may decide (or be forced) to make a decision about a car. Now that you know which life areas will be influenced, click here to learn how this transit will impact your Sun!